This product was lovingly crafted with herbs grown with true will, 9th Ward soil, and Mississippi River water in a real New Orleans Witch's garden. They were harvested in the correct moon phases and astrological aspects and blessed with the proper intent. 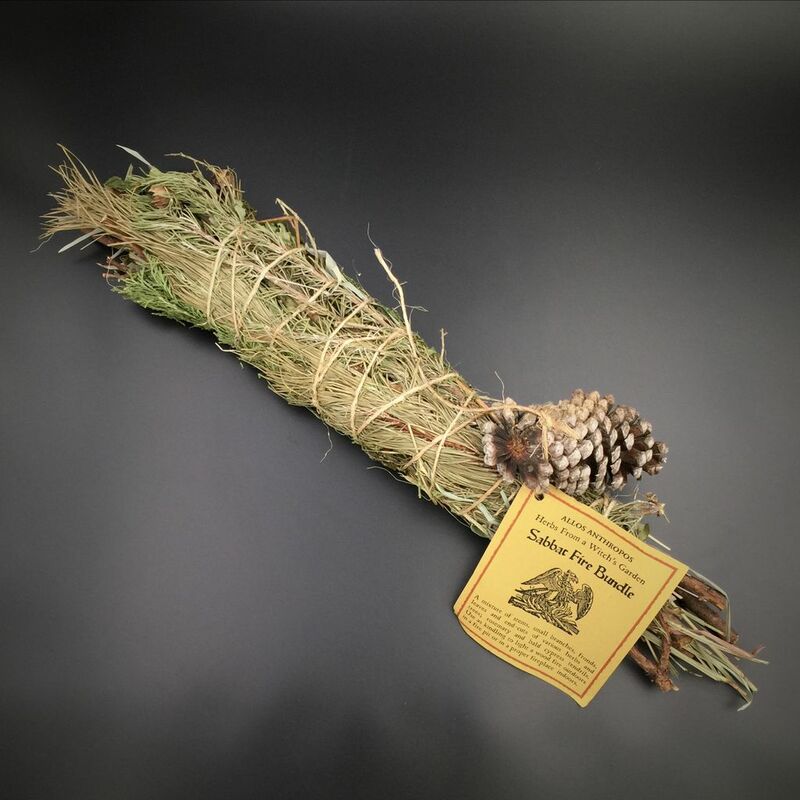 The Sabbat Fire Bundle is a mixture of stems, small branches, fronds, leaves, and end cuts of various herbs and trees; rosemary and bald cypress tendrils. Use as kindling to light a wood fire outdoors in a firepit, or in a proper fireplace indoors.